Life is tough for those born with a disability, traumatic for those whom disability strikes like a bolt from the blue, and a catastrophe for those who cannot cope with such an eventuality. Featured here are a cross-section of amazing Indians who managed to achieve the impossible in the face of great physical handicaps. The never-say-die attitude of these brave men and women will always serve as an inspiration for generations to come. The Indian cricket captain from 1962 to 1970, popularly called Tiger Pataudi met with a nasty car accident in the early 1960s resulting in complete loss of vision of his right eye. This was just when he was at the threshold of a great future. He continued playing undeterred by this big blow and went on to not only continue playing the game but also captained the side. The reigning superstar of Bollywood in the 1970s, Big B’s magnificent run came to a stop when he met with a near fatal accident on the sets of the film Coolie. Though he miraculously recovered after long hospitilisation, he was not fit enough to carry on acting like in his salad days. After short stints of acting and retirement which also saw him start his own company ABCL that eventually proved a failure and led him to incur massive financial losses. Amitabh recovered lost ground after the stupendous success of the tele-show Kaun Banega Crorepati which he successfully anchored. He also resumed acting thanks to his great will power, resilience and solid support from family and friends. Not many know that the mega star has been suffering from a major stuttering problem ever since age 6 and has gone through several painful speech therapy sessions to improve his speech. He continues with speech therapy even now fearing that he may get back to stuttering and incoherent speech. A highly talented dancer who started giving public performances at a very young age, life dealt a very cruel blow to Sudha Chandran when she was seriously injured in a bus mishap in Tamil Nadu. The ensuing hospitilisation and medical negligence led to her leg developing gangrene and an amputation. Only 17 then, the young dancer was in a state of shock for months together. The realisation that she could try to get back to dancing dawned to her when she heard of the famous Jaipur Foot. Many visits to Jaipur and several dancing trials later, the brave woman mastered dancing with the Foot. The renowned music director who scored the music for such hit films like Chitchor, Saudagar and Ram Teri Ganga Maili was born blind. Noticing his flair for songs and music, Ravindra Jain 's parents sent him to music classes at a very early age. From then on, there was no looking back. Besides being a composer, Ravindra Jain is also a good singer. He belongs to the crème de la crème of the Indian fashion scene and was the only male to graduate from the prestigious Western Australian Institute of Design, Perth. Almost a decade back, Hemant Trivedi was all but dead in a terrible car accident in Mumbai. Timely medical intervention thanks to his mobile phone helped the designer recover and recuperate. With a string of international championship wins, Leander Paes has put the traumatic period in 2003 when he was hospitalised for suspected cancer, behind him. Luckily for the tennis star, the diagnosis turned out to be negative and he was found to be affected by neurocysticercosis, another name for a parasitic brain infection. The 68-year-old Minister for Urban Development who is wheelchair bound or uses crutches is one of the livewires of the present cabinet. In 1998, he was awarded the Outstanding Parliamentarian Award for his prowess in tackling political debates. The former Indian hockey team captain and penalty corner specialist Sandeep Singh was grievously injured after being accidentally struck on the abdomen by a stray bullet. The incident that happened aboard the Shatabdi Express resulted in the player missing out on the 2006 Hockey World Cup. He survived the ordeal and went on to resume playing for the country. The Minister of Agriculture and Minister of Consumer Affairs, Food and Public Distribution, has had multiple operations around his mouth for removing tumours and lesions. The resulting contortions on his face have definitely hampered his speech but not his spirit. Abhishek Bachchan was dyslexic when he was a child and attended a special school. The critically acclaimed film Taare Zameen Par which evolves around childhood dyslexia cites Abhishek's case of a child with dyslexia who went on to not only conquer the disorder but also became a big achiever. The dashing all-rounder made his international cricket debut in the same match as maestro Sachin Tendulkar. Later, in spite of being in the national teams several times over, he never got to play a match which resulted in an additional term in cricket jargon called 'Ankolad'. His cricket career came to an abrupt halt when a tumour was detected on his shin around the year 1997.The affliction resulted in him having around 34 stress fractures. After his cricket career ended Ankola took to acting on the small screen and has acted in several shows like Balaji Telefilms' Karam Apna Apna and also Season 1 of Big Boss. He also acted in a couple of Bollywood films like Chura Liyaa Hai Tumne. A familiar face on the Indian advertisement scene ever since she appeared in a Bombay Dyeing ad with Karan Kapoor, the Canadian-born model, whose father is a Bengali and mother Polish, Lisa Ray has also acted in quite a few films notably Deepa Mehta’s Oscar-nominated film Water. In June 2009, Ray was diagnosed with multiple myeloma and had been undergoing treatment. A stem cell transplant in April this year has completely cured her of the cancer and the actress who put up a brave face all through her battle with the dreaded disease is now back in the thick of action. These are but a few of the numerous brave Indians who have battled disability and gone on to shine in their respective careers or taken up an alternative career. Hats of to these brave men and women featured here and those not featured here who live by example. The Indian cricket captain from 1962 to 1970, popularly called Tiger Pataudi met with a nasty car accident in the early 1960s resulting in complete loss of vision of his right eye. This was just when he was at the threshold of a great future. He continued playing undeterred by this big blow and went on to not only continue playing the game but also captained the side. Regarded as one of India’s more successful cricket captains, Tiger Pataudi was the Wisden Cricketer of the Year in 1968. The reigning superstar of Bollywood in the 1970s, Big B’s magnificent run came to a stop when he met with a near fatal accident on the sets of the film Coolie. Though he miraculously recovered after long hospitilisation, he was not fit enough to carry on acting like in his salad days. After short stints of acting and retirement which also saw him start his own company ABCL that eventually proved a failure and led him to incur massive financial losses, Amitabh recovered lost ground after the stupendous success of the tele-show Kaun Banega Crorepati which he successfully anchored. He also resumed acting thanks to his great will power, resilience and solid support from family and friends. Recently, Amitabh admitted that he had liver cirrhosis, a result of the Coolie accident. Apparently one of the donor blood bottles was infected with Australian antigen hepatitis. But Big B is braving the malady with a smile and in addition to blogging has started tweeting as well. A highly talented dancer who started giving public performances at a very young age, life dealt a very cruel blow to Sudha Chandran when she was seriously injured in a bus mishap in Tamil Nadu. The ensuing hospitilisation and medical negligence led to her leg developing gangrene and an amputation. Only 17 then, the young dancer was in a state of shock for months together. The realisation that she could try to get back to dancing dawned to her when she heard of the famous Jaipur Foot. Many visits to Jaipur and several dancing trials later, the brave woman mastered dancing with the Foot. Her life story was made into a block buster film called Nache Mayuri in which she played her role. Though not into active dancing now, Sudha Chandran is a familiar face on TV serials and shows. The renowned music director who scored the music for such hit films like Chitchor, Saudagar and Ram Teri Ganga Maili was born blind. Noticing his flair for songs and music, Ravindra Jain ‘s parents sent him to music classes at a very early age. From then on, there was no looking back. Besides being a composer, Ravindra Jain is also a good singer. The Minister of Agriculture and Minister of Consumer Affairs, Food and Public Distribution, has had multiple operations around his mouth for removing tumours and lesions. The resulting contortions on his face have definitely hampered his speech but not his spirit. In some months to come he will be taking over as the President of the International Cricket Council (ICC). Abhishek Bachchan was dyslexic when he was a child and attended a special school. The critically acclaimed film Taare Zameen Par which evolves around childhood dyslexia cites Abhishek’s case of a child with dyslexia who went on to not only conquer the disorder but also became a big achiever. 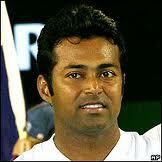 The dashing all-rounder made his international cricket debut in the same match as maestro Sachin Tendulkar. Later, in spite of being in the national teams several times over, he never got to play a match which resulted in an additional term in cricket jargon called ‘Ankolad’. His cricket career came to an abrupt halt when a tumour was detected on his shin around the year 1997.The affliction resulted in him having around 34 stress fractures. After his cricket career ended Ankola took to acting on the small screen and has acted in several shows like Balaji Telefilms’ Karam Apna Apna and also Season 1 of Big Boss. He also acted in a couple of Bollywood films like Chura Liyaa Hai Tumne. The singer who is married to tabla player-turned singer Roop Kumar Rathod had a serious throat problem in the middle of her career and almost lost her voice. She resumed her career later and was instrumental in her husband’s transformation from a tabla player to a singer. Incidentally, Sonali Rathod was first married to noted singer Anup Jalota. Other notable personalities who took disability in their stride include Sant Surdas, the 14th century singer and composer who was born blind and endured lots of hardship after he was shunned by his family; popular Doordarshan newsreader Sheila Chaman who met with a terrible accident that led to her having around 750 stitches on her face and many plastic surgeries before she resumed her career; wheelchair-bound sportswoman Malathi Holla, a Paralympic gold medallist, former National Badminton champion Rajiv Bagga who was born deaf; and legendary Hindusthani singer Kumar Gandharva who was afflicted with lung cancer at the prime of his career and had to have the cancerous lung removed.